The Android N Developer Preview is out, but only for a select few. If you don’t have a recent Nexus, such as the Nexus 5X or Nexus 6P, you’re out of luck. But that doesn’t mean you can’t enjoy some of their functions right now. 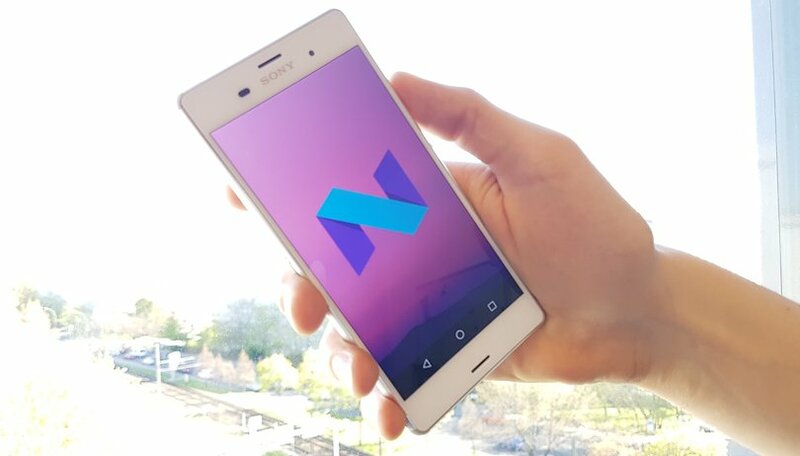 There are several ways in which you can get some of Android N’s features on your phone right now. There’s an Xposed module designed to bring Android features to rooted devices, but we have some useful alternatives for those of you who haven’t rooted or don’t want to root your device. Android N’s multiple window support was actually in Marshmallow, but it wasn’t turned on. You can activate this feature quite easily by editing the build.prop file. You’ll find that’s much easier if you’ve installed the BuildProp Editor application. ￼In build.prop, look for the line that says ro.build.type and change its user to userdebug. Save, restart and go into Settings > Developer Options. You should now see a new option to enable or disable Multi-Window Mode; all you need to to is tap it to switch it on. This Xposed module offers a good set of Android N features, including quick access to the most recent application by double-tapping the multitasking button; night mode; notification, shortcuts and information on the lock screen; and Doze with the screen off. You’ll need a device running Android 5.0 or better; in this XDA thread you’ll find information on how to install Xposed on Marshmallow or Lollipop. To download the AndroidN-ify module, use the Xposed Installer and search for it by name; once you’ve installed it, activate it in the Xposed Installer and restart your device. Once your device restarts it’ll have lots of nifty new N features for you to play with. This section is relevant not just to people without rooted devices, but to anybody: we’re going to discover the apps in the Google Play store that deliver the same functions that Android N will deliver in the near future. There are several apps that deliver a similar (but not identical) multi-window effect to Android N, with applications floating in boxes like a cross between widgets and desktop apps. The two most interesting apps are Floating Apps Free - Multitask and C Floating. With Floatify you can make notifications behave much as they do in Android N. Notifications appear on the lock screen and you can reply or access shortcuts with a quick swipe. What looks great in the daytime can be a bit too bright in the dark, so Android N’s night mode changes the screen tones to make everything a little warmer when the sun goes down. There’s some evidence that warmer screen temperatures - essentially making whites move from bluish to yellowish tints - don’t mess with our sleep as much as colder, more blue displays. Here are some of the best apps to make your Android easier on your eyes at night. In Android N, double-tapping on the multitasking button launches the most recently used application. With Easy App Switcher a floating button does the same job. Alternatively you could install LAS: Last App Switcher. Are there any other new Android 7.0 Nougat features you’re desperate to get? Do you have apps that you prefer to the ones listed above? Let us know in the comments. I've had mult-window on my Samsung devices (phones and tablets) for years. It's something I've only used to brag to iPhone lemmings. Other than that it's basically useless. I bought a 5.7" phone because I wanted a big screen, not because I could get two little screens. Thanks for sharing! It seems so nice. I already have much more better features than this because I'm using cyanogen os device which is being operated by cyanogenmod and it has all features and better features than this and I got nova launcher prime also which is also better add-on to this. For recent apps and night mode you can use Nova Laucnher.